When writing test for applications that interact with Kafka brokers we often need to setup a decent environment including an instance of Kafka and ZooKeeper. Though Kafka ships with some classes for testing, setting up a simple testing environment is quite easier with the kafka-unit library that offers JUnit test rule support or a fast programmatic setup within no time. When important data is written to STDIN/STDOUT and an application relies on specific system properties or environment variables, writing tests is getting more complicated. System Rules is a collection of JUnit rules that helps us writing Java tests for everything that deals with java.lang.System. In the following short examples I’d like to demonstrate how to deal with system properties, environment variables, STDOUT and STDERR and capturing both for testing e.g. for some golden master refactoring. When writing applications that interchange information with LDAP directory services there is always the need to write integration tests for these components and services. Therefore we need a the possibility to start-up an embedded LDAP server, fill it with test-data and control its life-cycle during the test-phases. In the following tutorial I’d like to demonstrate two candidates that fulfil this purpose, the ApacheDS test integrations and a small library named embedded-ldap-junit. Generating test suites for existing code allows us to verify the behaviour of an application before we’re making changes to its code base or for regression testing. 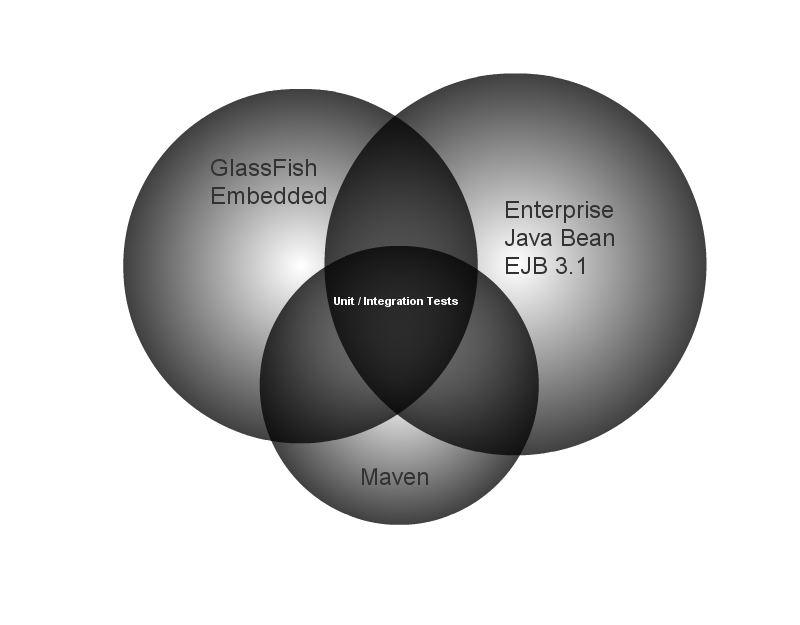 In the following short tutorial I’d like to demonstrate how to derive test suites from an existing Java application using EvoSuite and the EvoSuite Maven plug-in. EvoSuite offers some nice features like running in a sandbox to avoid dangerous operations, virtual file-system and network and optimizing of different coverage criteria. When writing tests for our software components sometimes we need to mock external services based on the HTTP protocol, might it be a RESTful web-service, an XML-RPC call or a simple GET request to some web-server. In the following short tutorial I’d like to demonstrate how to create a mock HTTP server for testing and how to bootstrap and bind it to the life-cycle of a classical build-management tool like Maven. Writing tests for asynchronous applications has never been much fun as we’re always struggling with the problem how to determine state changes, handle process terminations, dealing with timeouts or failures and stuff like this. Awaitility eases this process for us offering a nice DSL, rich support for languages like Scala or Groovy and an easy-to-use syntax that’s even more fun when using it with Java 8′s lambda expressions. In the following short introduction I’d like to demonstrate writing some tests different scenarios. Mutation testing makes an interesting addition to the classical test coverage metrics. They seed mutations (errors) into the code, run the project’s tests afterwards and if the tests fail, the mutation is killed – otherwise it lived and we have a possible indication of an issue with our tests. In the following short tutorial. I’d like to demonstrate how to setup mutation tests with the PIT/Pitest library and Maven and generate reports. Having written about the basics of using Cucumber in a Java project in my last blog article, I now would like to demonstrate how to use a similar setup in a Java EE web project with Arquillian and the Cukespace library. In the following tutorial, we’re going to write a full Java EE web application and add BDD-style tests to the project so that we’re able to test our business layer on the one hand and the user interface on the other hand using Arquillian Drone and Selenium. I recently stumbled upon a nice framework that allows to convert simple JUnit tests into micro benchmarks named JUnitBenchmarks. It allows to set basic benchmark options and and to generate charts by adding some simple annotations and a test rule to your tests. One might argue if it is wise to mix the aspects, testing and benchmarking and I’d agree for sure – nevertheless I think this framework can be handy sometimes so let’s create some benchmarks using JUnit and JUnitBenchmarks.. Sometimes we need to classify the tests in a project and a possible solution to achieve this goal is to assign different categories to the tests. Often we’re doing this to separate the execution of fast-running and long-running tests or to run a specific set of tests that is only applicable in special situations. To run a specific set of categorized tests there are different options and in the following tutorial we’ll be covering two of them: by configuring the Maven Surefire Plug-in or by using a JUnit Test Suite and the JUnit annotations. 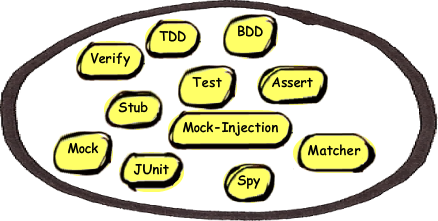 JUnit is one of the most popular testing frameworks out there. Version 4.11 has just been released and offers some nice improvements that you shouldn’t miss. Everyday we’re writing tests for our software and sometimes we’re in a situation where we’re testing a specific type or object very often. Luckily Hamcrest allows us to create custom matchers by subclassing from a given variety of available matchers. JUnit Rules are a handy solution if one needs to alter test methods or wants to share common functionality between several test cases. JUnit 4.10 introduced a new class to order several rules according to our needs using a so called rule-chain. In the following example, we’re going to create a simple custom rule and afterwards bind several instances of it in a specified order to a test method. Today we’re going to take a look at two specific frameworks that enables you to efficiently test your REST-ful services: On the one side there is the framework REST-assured that offers a nice DSL-like syntax to create well readable tests – on the other side there is the Jersey-Test-Framework that offers a nice execution environment and is built upon the JAX-RS reference implementation, Jersey. In the following tutorial we’re going to create a simple REST service first and then implement integration tests for this service using both frameworks. The title of this article might be misleading due to the fact that I am not going to compare both frameworks to choose a winner, just showing the different approach ..